At the moment passcode on smartphones and tablets use numbers and the majority of devices use a 4 digit pin number. Now one company is looking to change this with the launch of their new Emoji Passcode which uses Emoji’s instead of numbers. The new Emoji Passcode is from a company called Intelligent Environments who are launching their new system to replace PIN numbers. 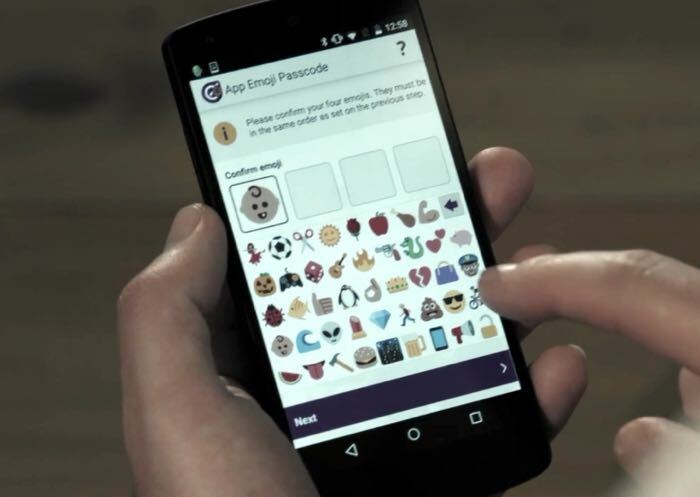 Emoji Passcode is mathematically more secure than traditional methods. There are 480 times more permutations using emojis over traditional four digit passcodes¹. In addition, it will prevent hackers from identifying common and easily obtainable numerical passcodes, like a date of birth or a wedding anniversary. You can find out more information about the mew Emoji Passcode system at the link below.